Being a massive fan of the Starwood hotels range, staying at a St Regis has been on my bucket list. When I saw there was a St Regis in Mauritius and after much research, I knew that I absolutely had to stay there and tick it off my list. There is also a Westin and a Le Meridien in Mauritius, both from the Starwood group. 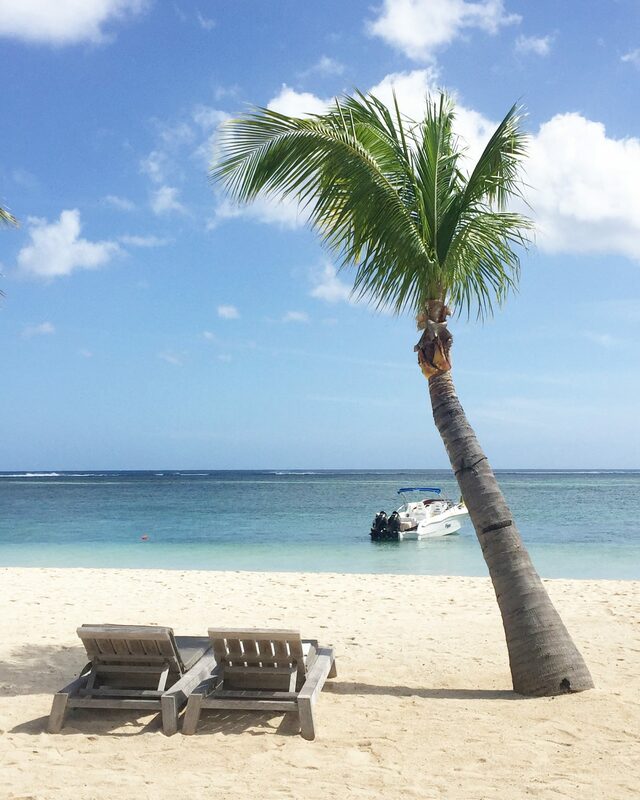 Located on the south-western side of the island, the St Regis has seriously got the best address, with a backdrop of the historical world heritage site, Le Morne mountain, which is 550 metres high. The story behind this majestic mountain, is that it stands as a cathedral for freedom, as it was where many runaway slaves sought refuge and hid. As the tale goes, the day that slavery got abolished, some slaves hadn’t heard about it yet and thought that some soldiers they sighted on the mountain, who were actually coming to give good news were actually dangerous and so they jumped to their deaths to avoid being captured. The St Regis is a 5 star luxury hotel, with a colonial theme running throughout the resort and has a lovely home away from home feel to it. 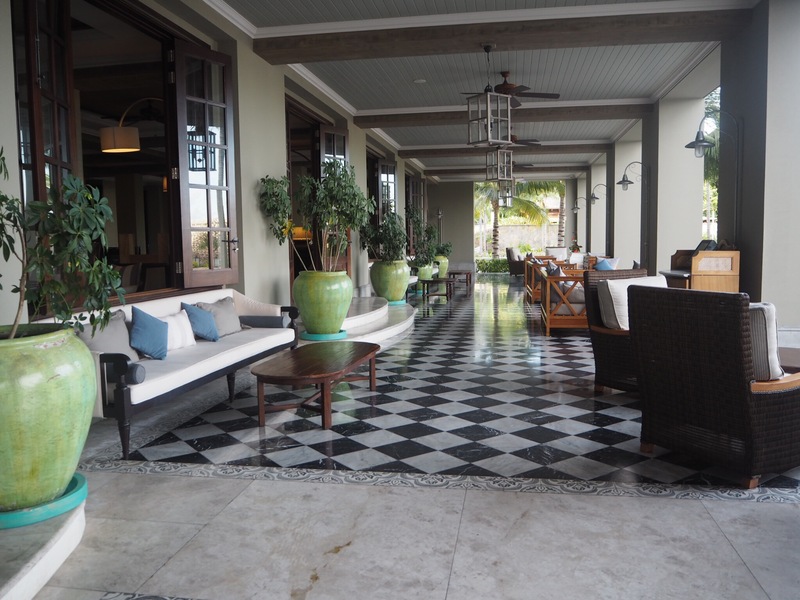 The resort used to be a former sugar baron’s plantation house, and is a fairly new resort, having been opened in 2013. It is just over an hour’s drive from Sir Seewoosagur Ramgoolam International Airport. The drive from the airport was beautiful, with dramatic scenery of mountains, forests and sugar cane fields. What struck me was the natural beauty of the island everywhere and how unspoilt the majority of it was. We took a taxi from the airport and it cost us 2000 MUR. When we arrived at the hotel, it was so relaxed. We were given a lovely welcome drink and the check in was so quick and easy. It was amazing to find we had been given an upgrade (Thank you Starwood) to an ocean front suite with a butler service. We were on a bed and breakfast rate and stayed for 7 nights. The rooms at the St Regis range from garden facing rooms, ocean facing rooms and suites and an absolutely amazing villa which opens out right on to the beach and has its own pool. We took a buggy ride to our room and OMG it was such an amazing room. The buggy service is available throughout the hotel. It was dark when we arrived but I immediately snapped a photo of the bathroom because LOOK AT THAT BATHTUB! I was so pleased I had packed a Lush bath bomb with me and I did enjoy a nice soak in the tub during the week. We had a fabulous sink each, with plenty of room around it and below it for all our toiletries and my make up and there was really good lighting which was a major plus point. There is a spacious shower with a rain shower fitting too and it was amazing! The toilet has its own private door. Inside the bathroom area there is a desk with drawers, a tall chest of drawers and a dressing room area with more drawers and hanging space so I unpacked all our stuff neatly and stored our luggage away. The butler did offer to unpack but I thought it would be easier to put stuff away in my own way. Great option though! We were provided with an ironing board, iron, hair dryer and safe, as well as a handy stool to prop our luggage on if we needed to. There is lots of storage in the room! The bedroom itself is large with a massive bed, a comfortable sofa on the side and the TV, nestled inside a cabinet on the opposite side. There is a blind that separates the view into the bathroom so you can have it open during the day time for more natural light. 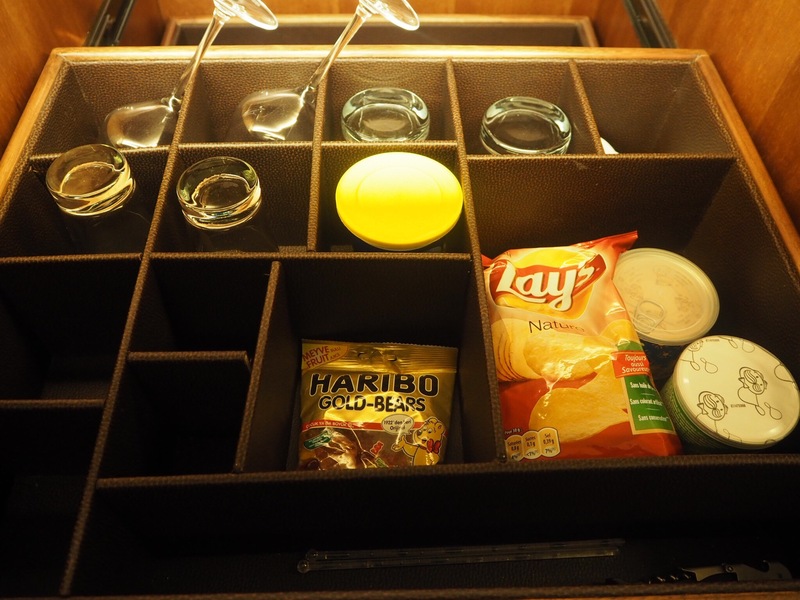 A fully stocked mini bar and a drawer full of snacks is provided in the room, which are chargeable. Water bottles are complimentary and are replaced daily. 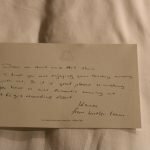 The butler provided a free turndown service every day and if you wished, he/she could make your tea or coffee in the morning for you. 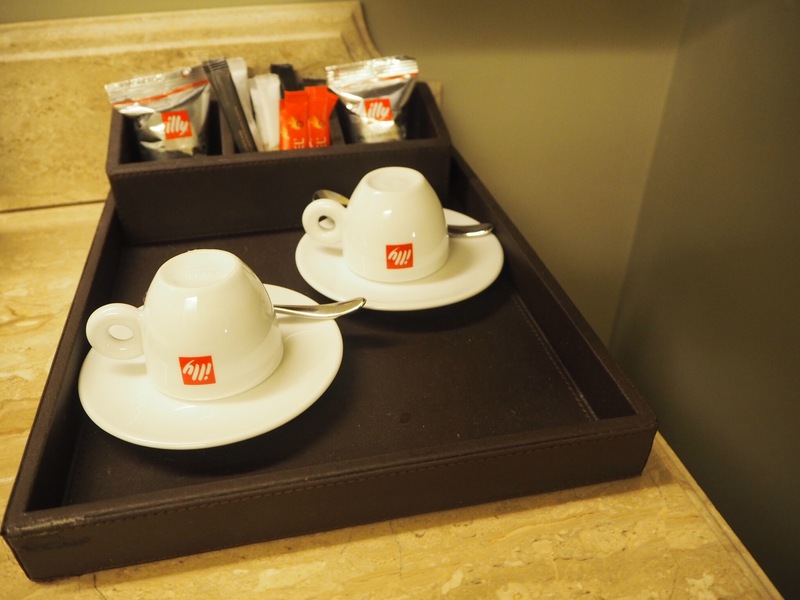 If you wanted to make it yourself, there was a coffee machine, as well as tea bags, and cups and saucers available in the room. A complimentary St Regis bag was gifted in the room which was really handy as a beach bag. An umbrella was provided in case of any rain. There is a patio outside which has a sofa on one side and a table with chairs on the other. There are steps which lead down to the resort’s second pool, and there is an amazing view of the beach from here, which is just a short walk away. We were so incredibly lucky with the location of the room and the view. 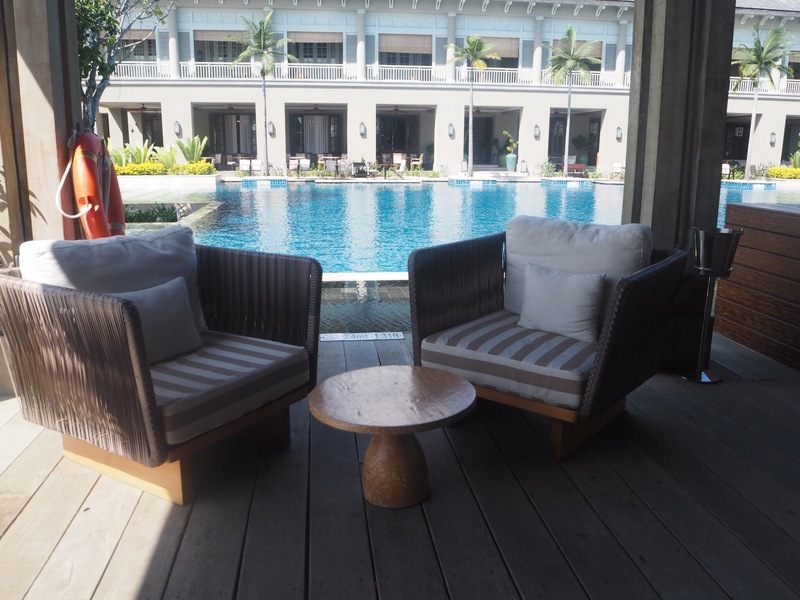 The pool area has sun beds around it with towels available nearby. In the afternoon, there is even a pop up bar next to the pool so you can enjoy some cocktails in the sunshine. 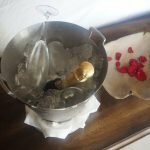 Every evening we would find a different treat left for us to indulge on, and on two of the days our butler left us champagne as a surprise treat. 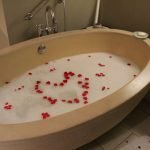 One evening, they even scattered rose petals all over the bed and had the bath tub filled ready to soak in and decorated with rose petals which was absolutely adorable. They really made the trip feel so special and we felt so pampered. Thank you goes to Rishi and Kannan. The resort is absolutely stunning and there is an amazing view from everywhere. There is also free wifi available throughout the resort which is really fast and convenient. The main pool, is HUGE. It has cabanas and sun beds located all around it and has the Boathouse bar & grill on one side of it and Le Manoir and the 1904 bar on the other side of it. Our breakfast view was of the beautiful pool and was the best way to start the day everyday. The breakfast spread was amazing! There was a whole room with a long table with a selection of tropical fruits available for a healthy choice. 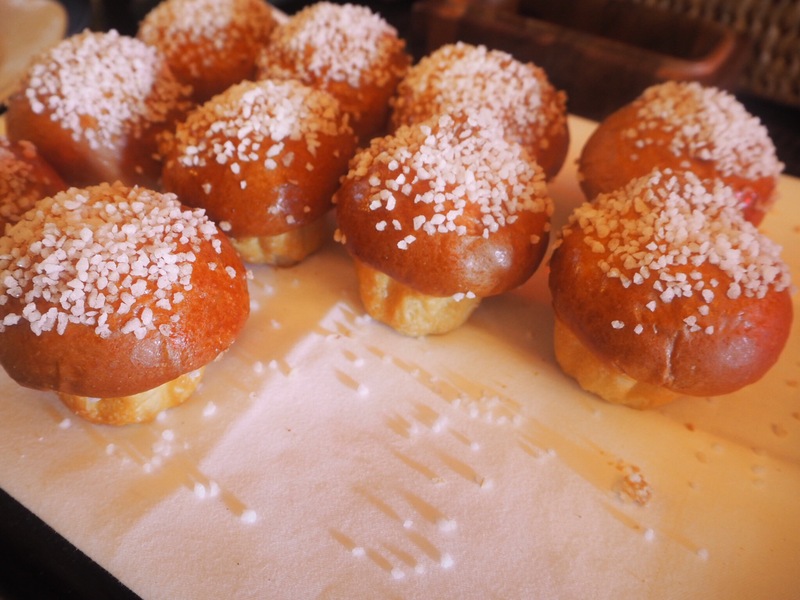 If you wanted bread and pastries, there was a massive variety, including gluten free choices. In the cooked food section, you could have waffles, crepes, pancakes, hash browns, eggs, beans, bacon, sausages and so much more. There was also a selection of cheeses, cold meats, salads and fresh juices available. The lady who made us our omelettes every day was the happiest and most uplifting person ever! Such a lovely soul. In terms of food and drink, there are 5 main restaurants and the 1904 bar. 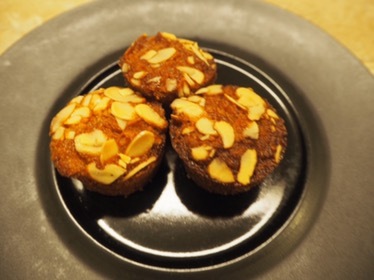 There is a Japanese restaurant called Atsuko, an Indian restaurant called Simply India, a pan-asian restaurant called Floating Market, a beachside restaurant called Boathouse Bar & Grill and Le Manoir, which is Mauritian inspired food. You can also order bar food at the 1904 bar, and room service options are also available. My favourites were The Boathouse Bar & Grill and Simply India. However, they all had superb and flavoursome food. 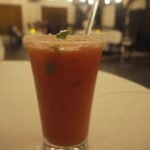 At the St Regis, you can also try the legendary Bloody Mary cocktails, with each resort having its own take on the classic. 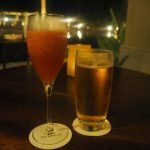 You can also try all the other variants on the menu from the different St Regis resorts around the world and I tried the Mauritian version, as well as the Bora Mary. There is a private cinema, library room, games room, fitness centre, tennis court, kids room and a Spa within the resort. So many rooms to escape in and for a book worm like me it was perfect. I also felt like I could totally relax which is just what I absolutely needed. Amit used the fitness centre every day and he said that they had state of the art gym equipment as well as a personal trainer on site. As the resort faces west, there were the most incredible sunsets that you could see from the beach and we managed to capture a few on camera. The beach itself was stunning and would make the perfect location for a destination wedding. Watersports are available from the resort with lots of fantastic free options. You can even take a free glass boat ride to go see fishes. We booked a day trip on a Catamaran from here which I highly recommend. You get taken to see dolphins swimming, snorkelling, have a bbq lunch on board and then go to another island. The interiors throughout the hotel are stunning and tasteful. Pictured below is the classy bar area at the 1904 bar, and the outside seating area where we spent lots of time enjoying a cocktail. A special thanks to Selvin and Savina for being amazing. The rest of the hotel was just as beautiful with lovely spots all around where you could unwind and read a book or just people watch. I loved my stay at the St Regis and it was an amazing week and we felt very spoilt. The staff on site made you feel at home and were all so lovely and always had a smile on their faces. The location was just superb! It really did have the best address. We found it easy to go around the island and the concierge desk was super helpful with organising excursions or dinner reservations. We decided to do all our sightseeing within the first couple of days and relax for the rest. The food was delicious, the cocktails were lush and the resort itself is beautiful and spacious. You can always find a spare sun bed and it never felt crowded as everything is spaced out. I wish I had had longer than 8 days at the resort as it went by so fast and I really did not want to leave. 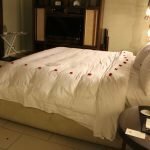 If you are planning a trip to Mauritius I really recommend this hotel as it is pure luxury, has lots of facilities, restaurants and an amazing beach. The rooms are spacious, plush and the beds are dreamy. Disclaimer: I received an upgrade and a complimentary meal. However, all opinions and photos are my own. Fabulous hotel. Mauritians really know how to make you feel welcome don’t they?